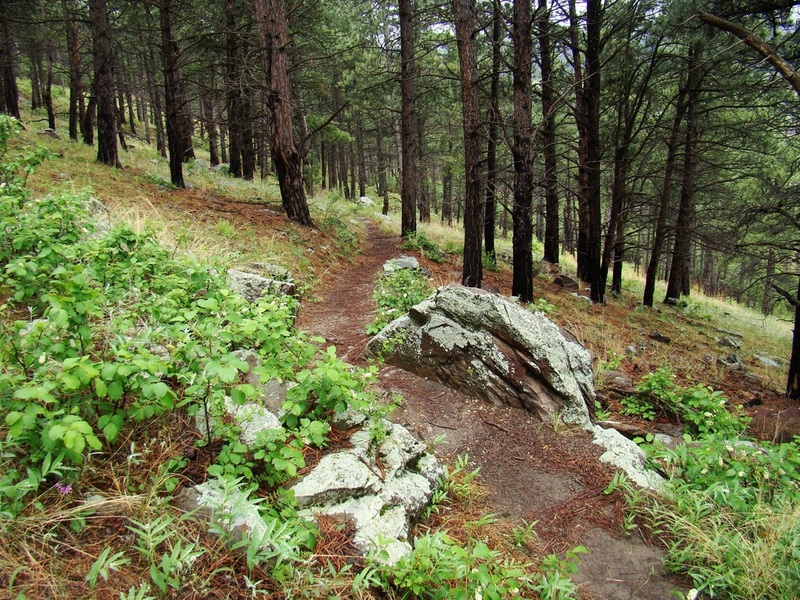 Rankin Ridge is a delightful hike! 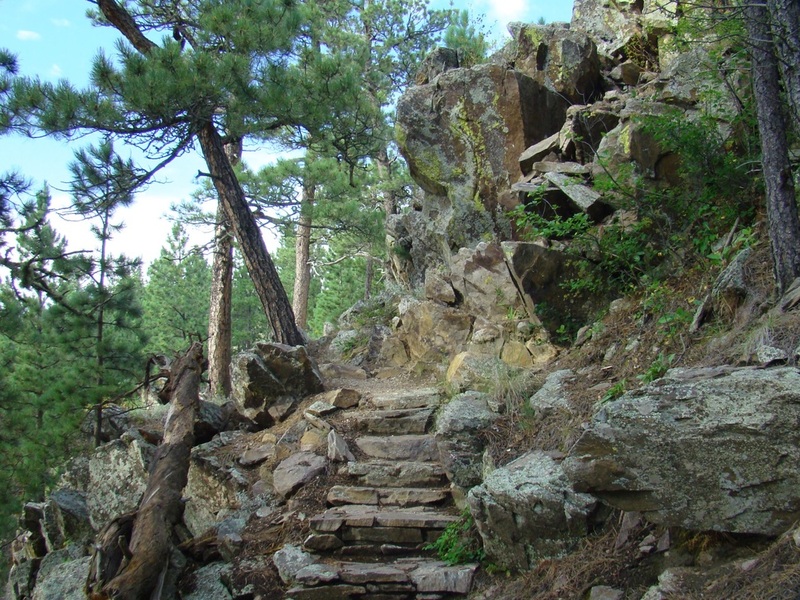 It is one of our favorites because it is so perfect for a day that you are not up to a major hike, yet still desire the hiking experience on a forest trail and a great summit ridge view. 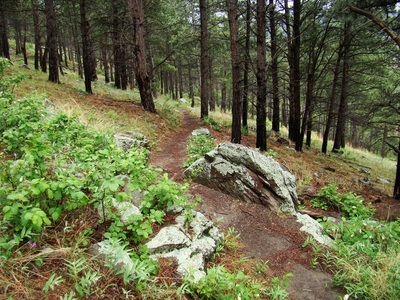 The 1.2-mile loop trail begins at a small paved parking lot on a saddle to the south of Rankin Ridge. 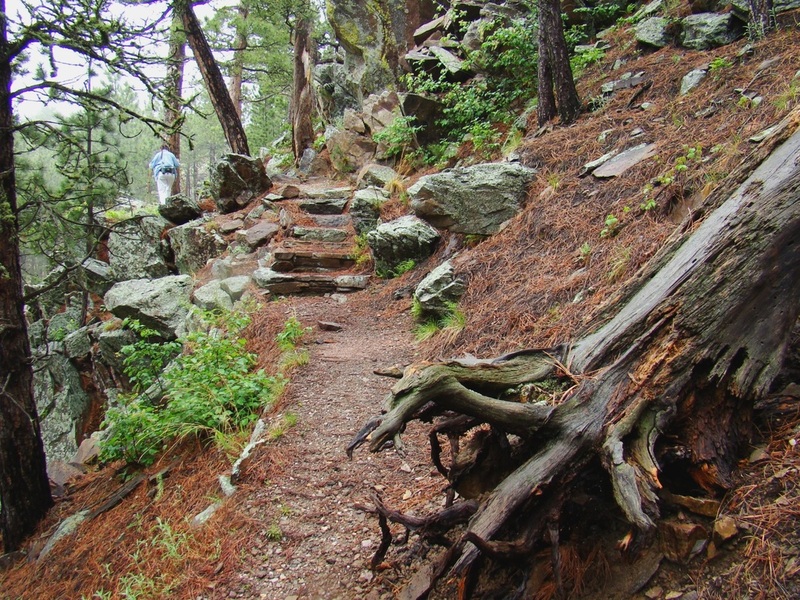 The 260-foot gain in altitude from the parking lot to the summit will give a mild "burn" yet will not overtax most people’s capabilities. 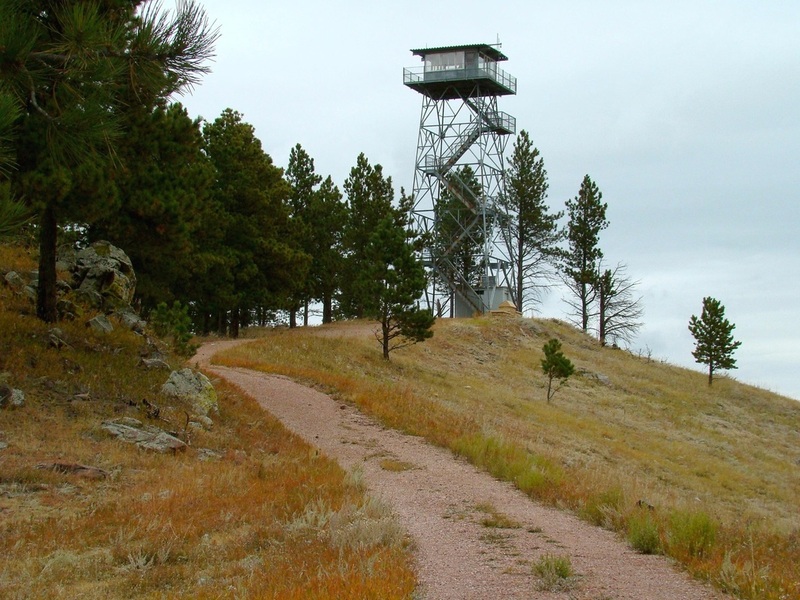 At the summit is an old fire lookout tower that is still used when it is needed. While you are hiking, you might be treated to views of elk or buffalo herds in the valleys below. 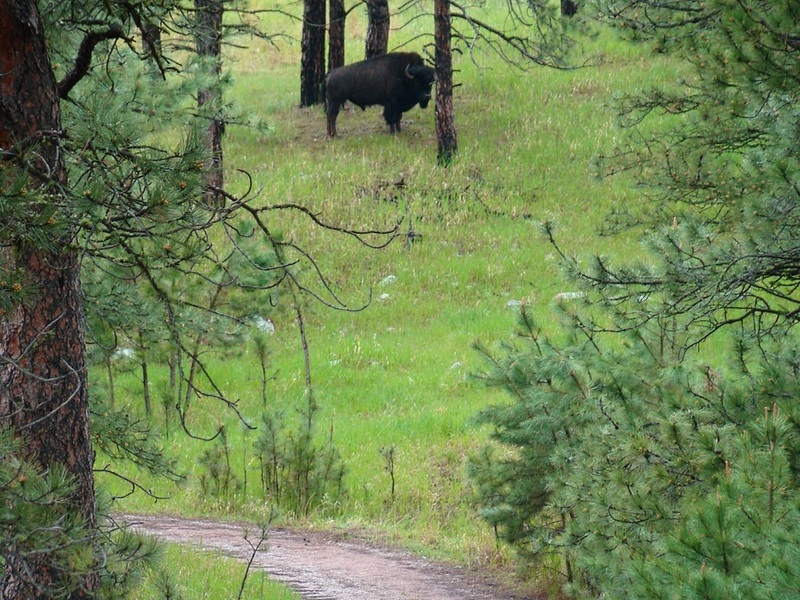 On rare occasions, the buffalo will be right along the trail itself – of course warranting extra caution. 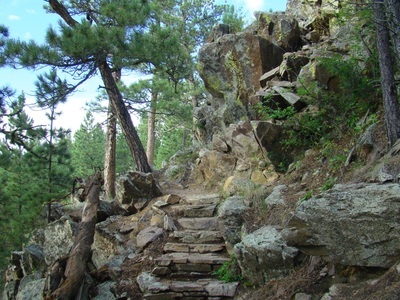 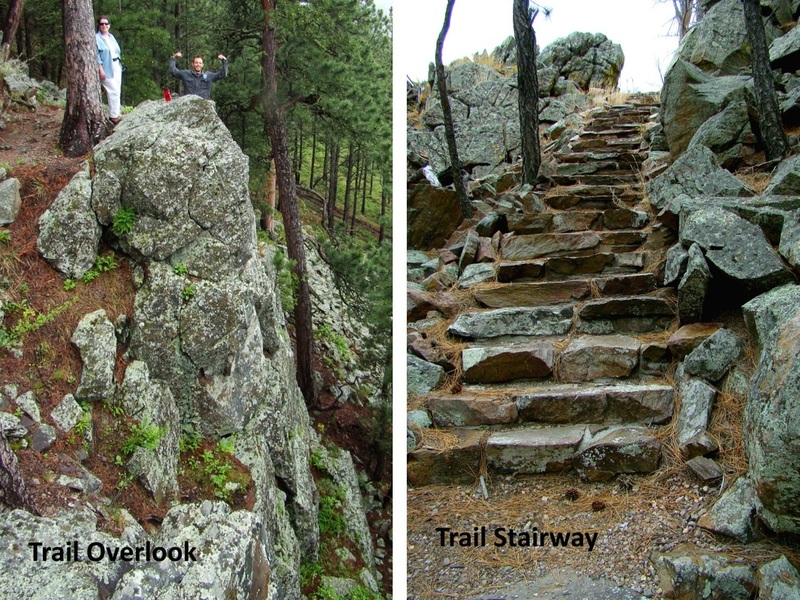 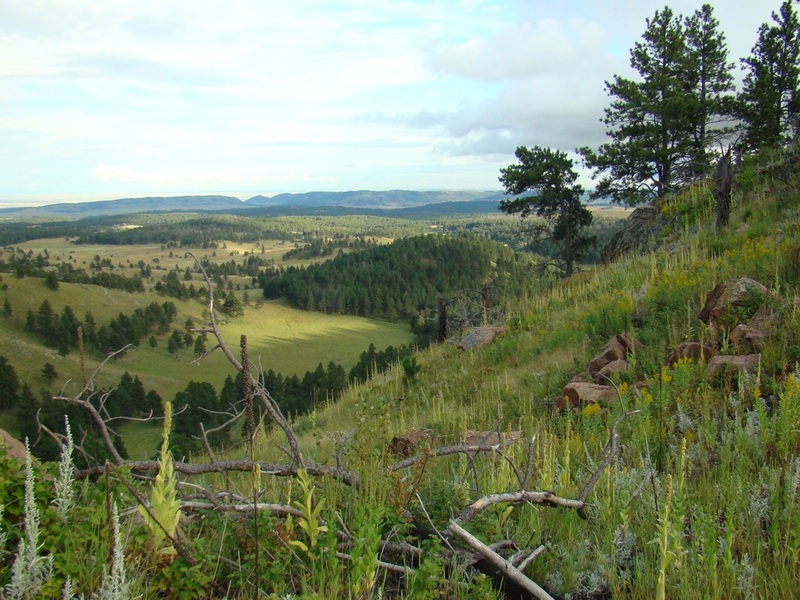 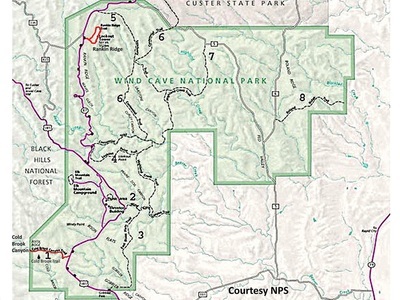 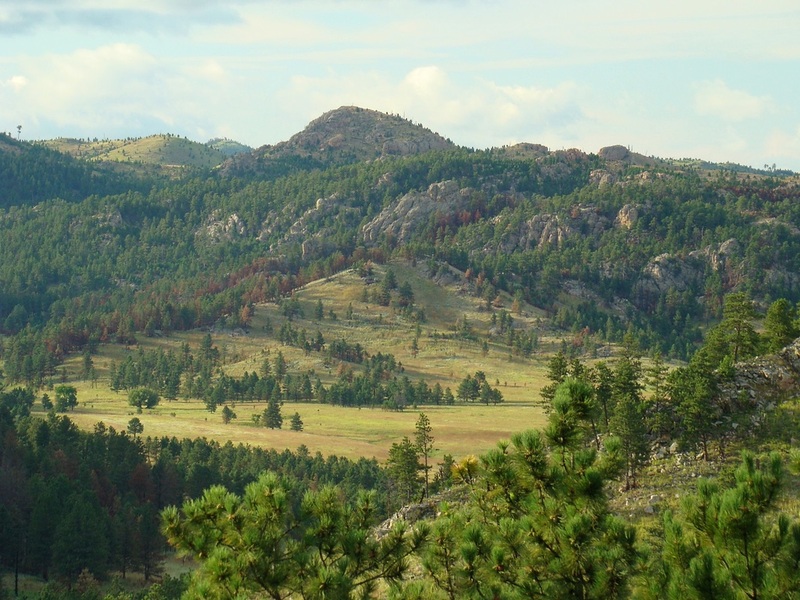 At 5,013 feet of altitude, Rankin Ridge is the highpoint of Wind Cave National Park. 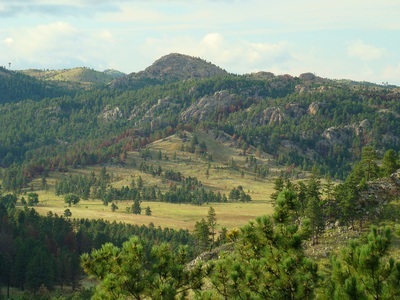 Rankin Ridge is closest to the communities of Hot Springs and Custer. 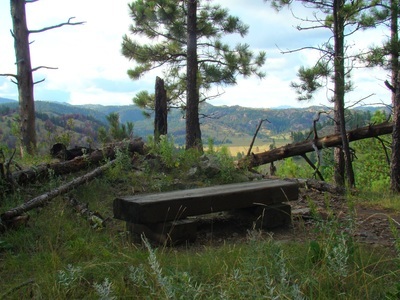 From Hot Springs, travel north 11.5 miles on Highway 385 to Highway 87. 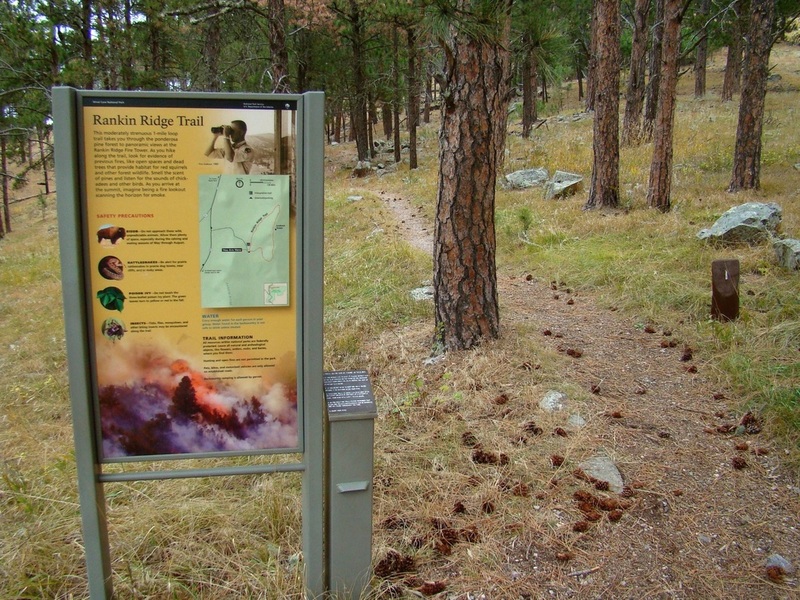 Turn there and go 5 miles north to the Rankin Ridge turnoff road. It is another .25 mile to the upper parking lot. 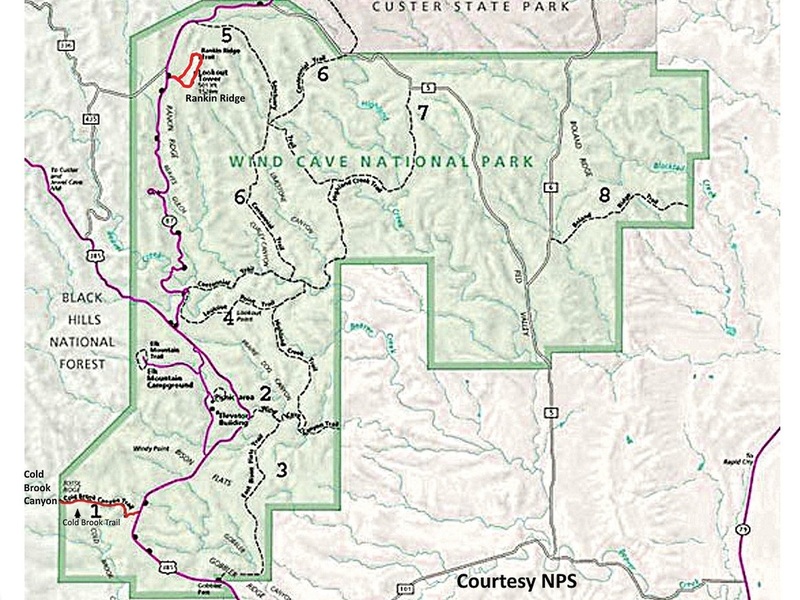 From Custer, travel 6.5 miles east on Highway 16, then go south 12.7 miles on Highway 87 to the Rankin Ridge turnoff road and then on to the upper parking lot. 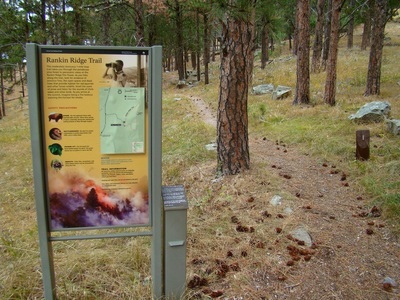 A Rankin Ridge map is posted among the photos below. Hope says: I love Rankin Ridge…it is so picturesque and it is a real hike. 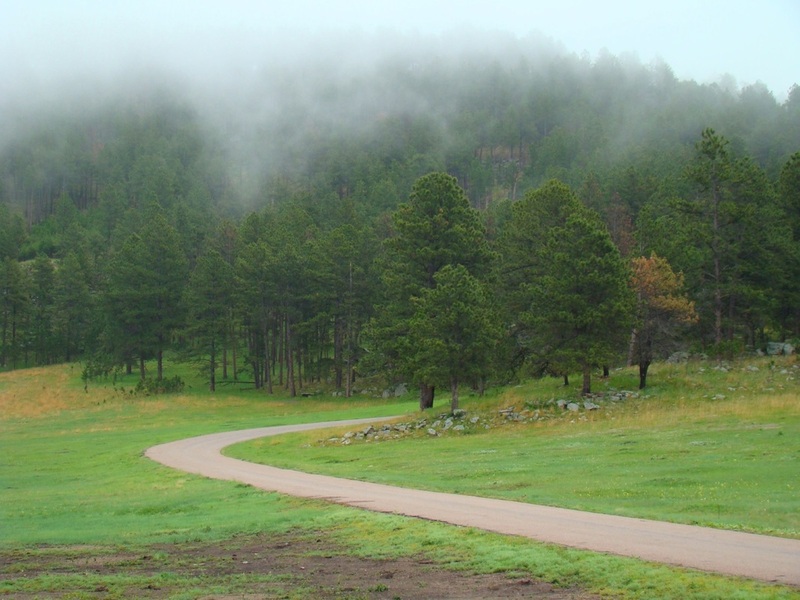 Parts of it feels like you are out in the middle of nowhere, truly a part of creation. 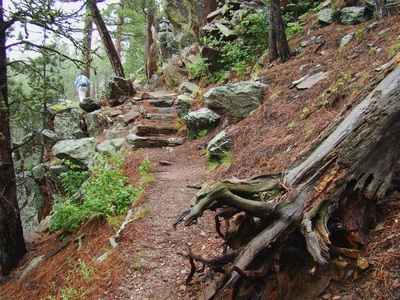 This section, going up the trail, picking my way ever so carefully through the weeds attempting to mar the otherwise well-kept path, then, with the support of hiking poles and sturdy boots…and time…always taking time…I manage the rocky section where there are actual steps hewed for the ease of traversing the ridge.